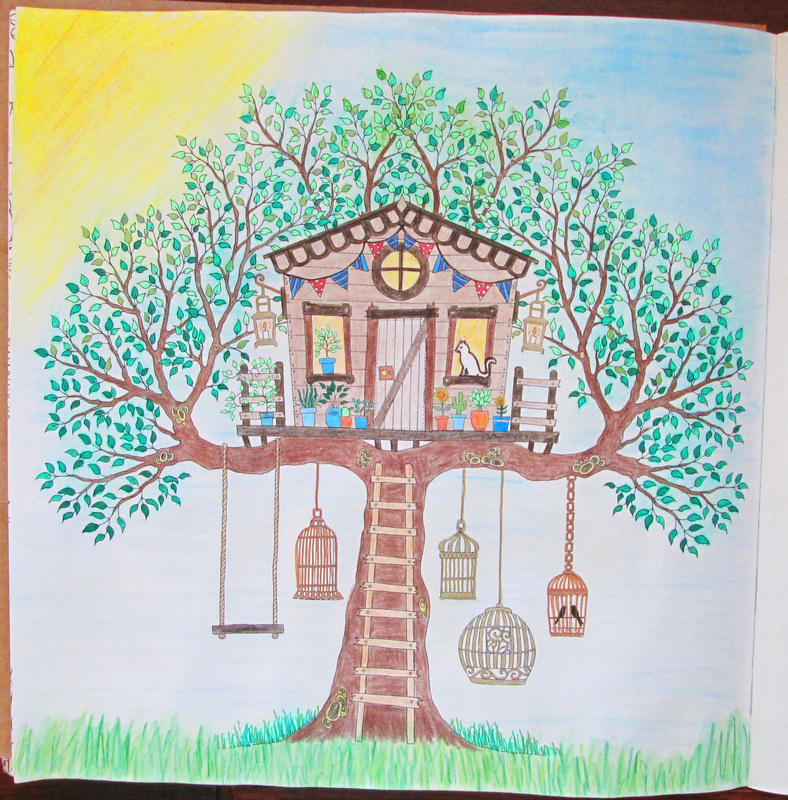 Treehouse in mostly colored pencil and basic gel pen, with a bit of metallic gel pen here and there. 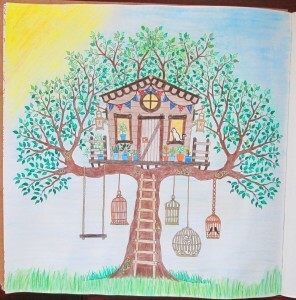 The sun, sky, and most of the grass are done with watercolor pencil. 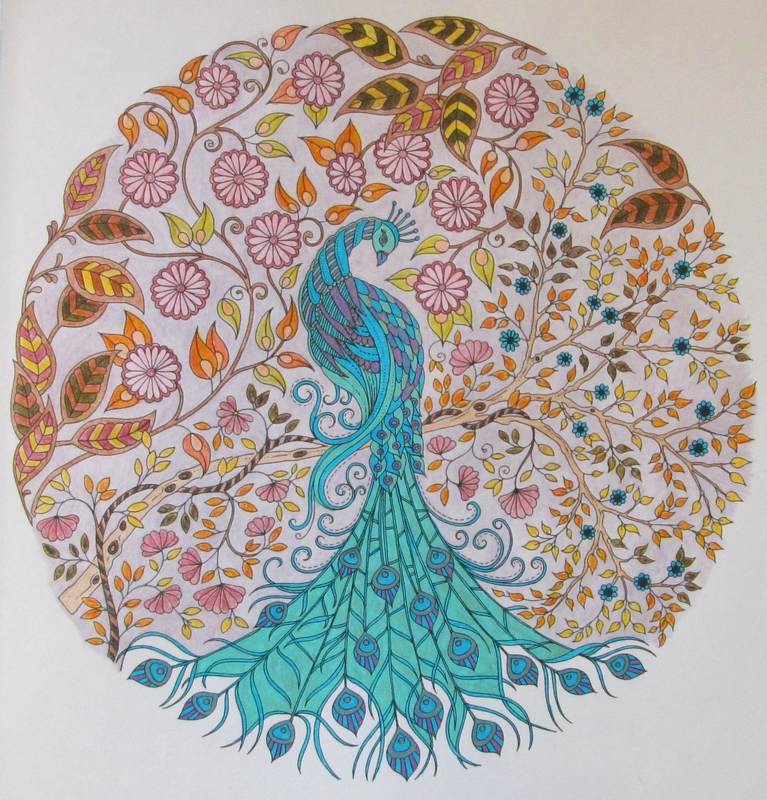 This was my first experiment with coloring in the entire background, which I did here with a silver colored pencil. 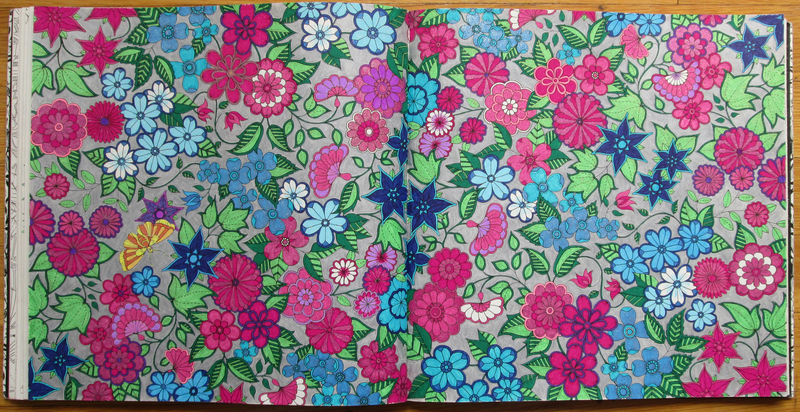 I rather like how it turned out. I'm not so fond of this one. 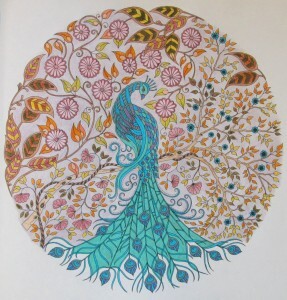 My goal was to make the peacock really striking, so I colored the peacock entirely in glitter gel pen & the background entirely in drab colored pencil, but it didn't turn out as exciting as I had hoped. 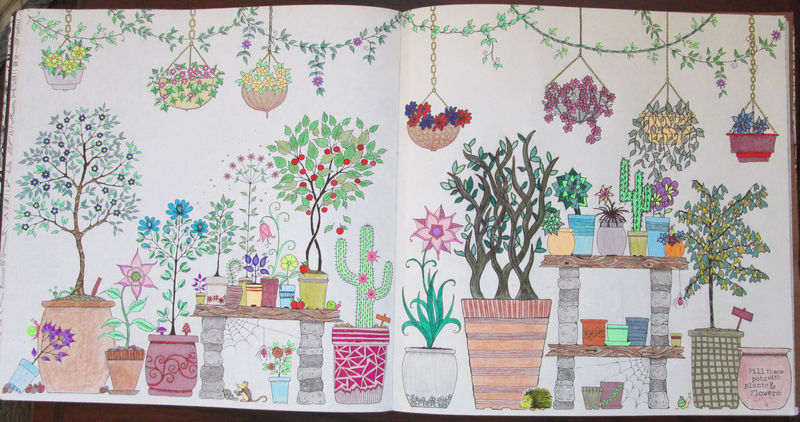 This is the "potting shed" spread when I had only just begun coloring it in. 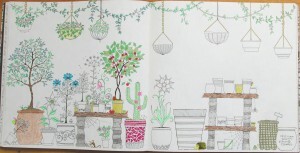 Notice that the right-hand page has only one plant on it ... the rest of the pots are empty, with a little note in the lower right-hand corner encouraging the colorer to draw in some of their own. 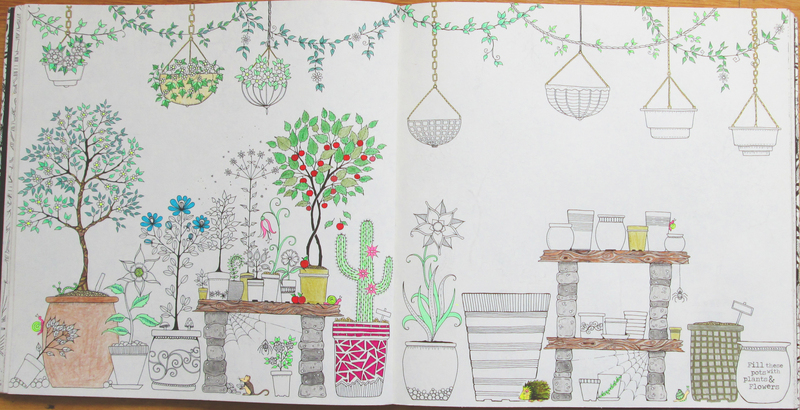 This is the "potting shed" spread after I had finished it. 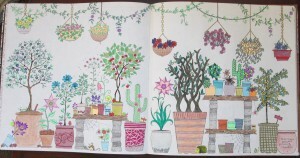 Notice that the right-hand page now has quite a few plants that I had drawn in myself. 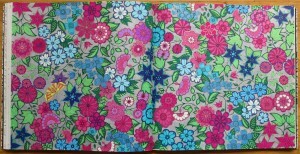 I'm quite proud of this one, as I'm not usually comfortable with drawing & tend to judge my "skill" very harshly. I just relaxed and had fun with this, and I'm fond of the result.